Wales seems to not get the attention that it should, maybe because it doesn’t have the big famous attractions that England and Scotland do have. We’d like to make an argument why you should make a trip with a motorhome or campervan through the beautiful country that is so close to us. Is it for the adventure, nature or the beautiful islands? You decide. 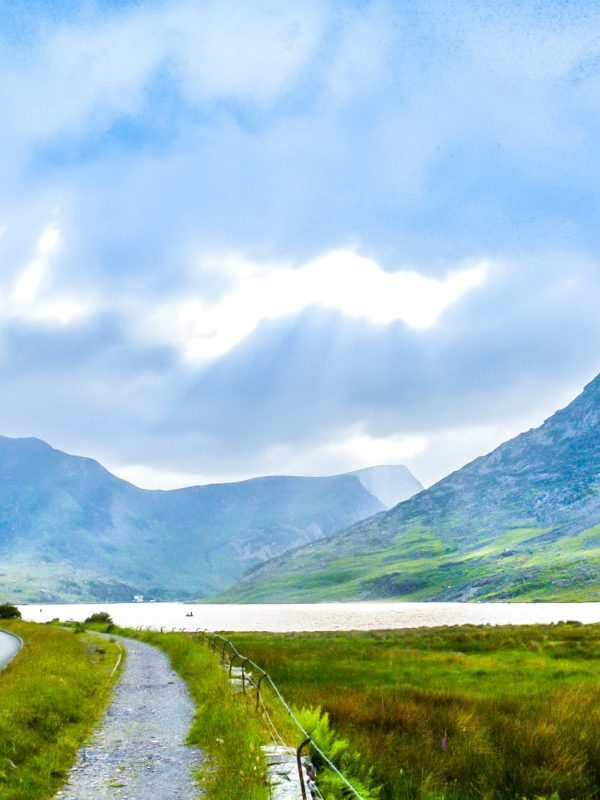 Many wonderful places to offer, Wales might be an often overlooked place for your motorhome or campervan holiday. The landscape of Wales is defined by a lot of mountains and that is why we start our trip at some of the most beautiful ones. 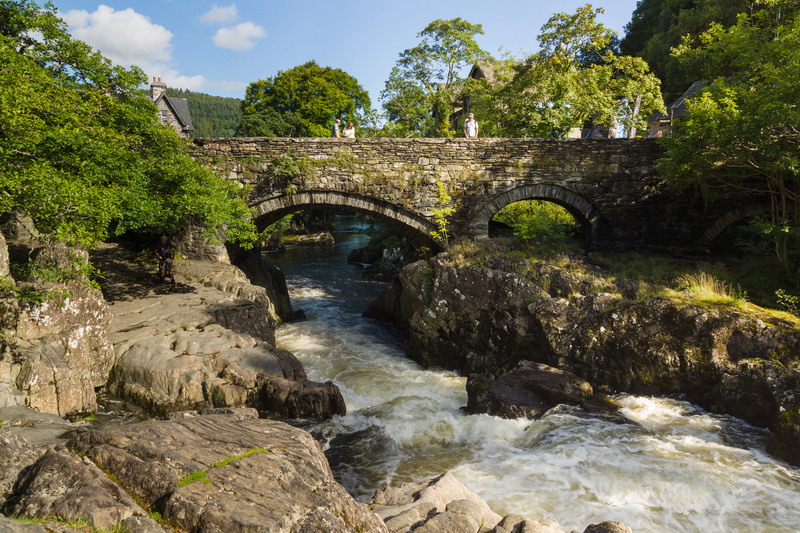 For us, Betws y Coed is the perfect place to start our trip. 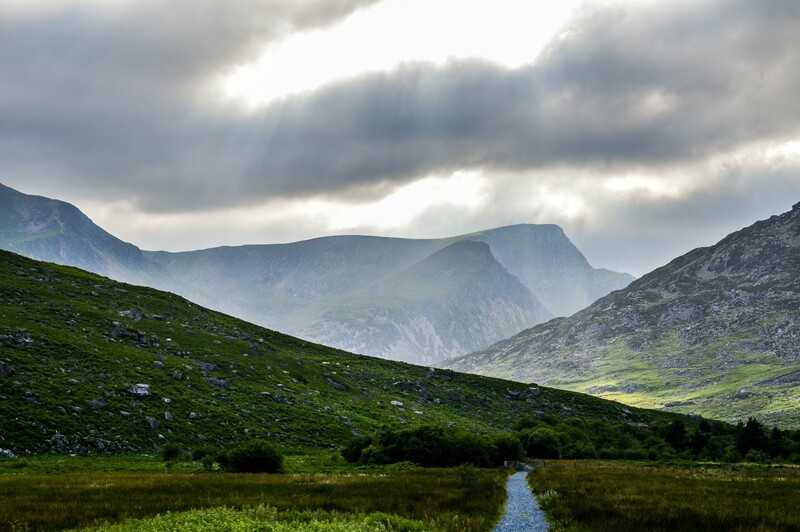 The good-looking town with its beautiful Victorian buildings sits at the junction of three river valleys and is called the gateway to Snowdonia. Before heading into the adventure, take some time to visit the cute railway museum, the golf course or one of the great eateries. From the town, many walking tracks depart or you can arrange a mountain bike ride, a climbing session or a horseback ride. Another option is to pay a visit to the mountains in the area. 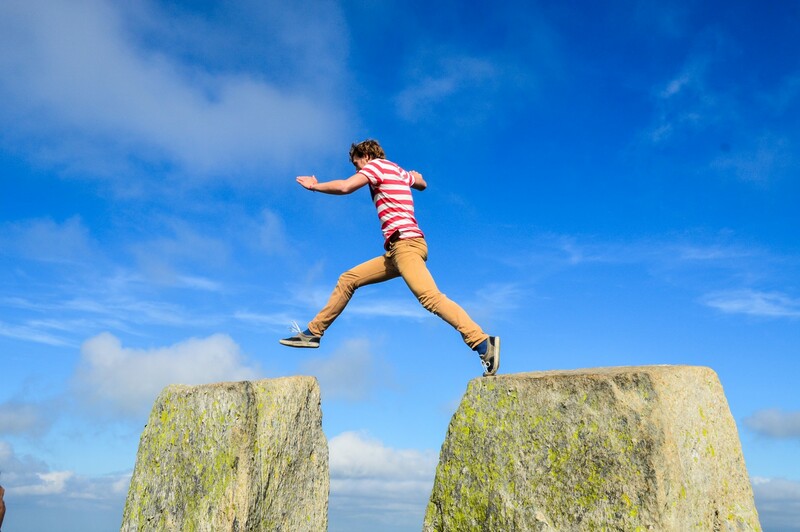 Do you dare to take the leap? Another of our favourites is the highest mountain in Wales, the Snowdon. The climb is a bit easier than the Tryfan though and there is even the possibility to get up there by train, departing from Llanberis. It is said to be one of the best railway journeys in the world. Either way, it will reward you with an amazing, stretching view. For even more adventure, head to Surf Snowdonia, a world-first inland surf lagoon. The artificial lagoon creates waves that are suited for both beginners as more advanced surfers. Good waves are guaranteed of course! 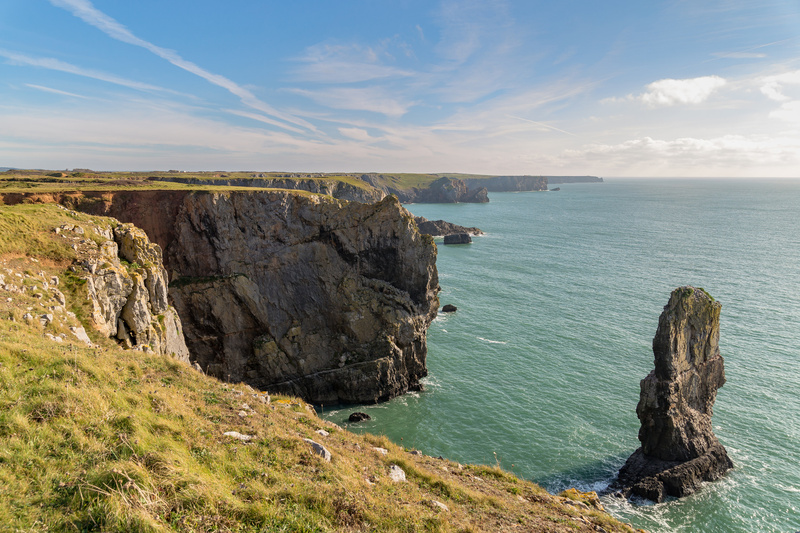 The dramatic scenery of Pembrokeshire coast offers a beautiful location for our next stop. The county is perfect for long or short coastal walks, outdoor activities, beach days and wildlife watching. The Pembrokeshire Coast Path is a 186 miles long path along the most breathtaking coastline in Britain. The varied views will leave you in awe for either short or longer walks. After a day of walking, you can rest on the award-winning beaches or undertake one of the many watersport activities if you haven’t had enough of exercise yet. Find Puffins on the Skomer or Skokholm islands or spot seals, whales, dolphins and porpoises on a boat trip. Swansea’s most famous description is the one by Dylan Thomas: “Ugly, lovely town”. It seems to get rid of that image because it has been named most beautiful city to live in in the UK in a study of 2016. The second city of Wales is a vibrant developing city with a great bay and a lively sports scene. Home to football team Swansea City and the rugby team the Ospreys, Swansea offers you the chance for a great evening out. The Swansea Market is a great place to get your foods and goods from local produce. The city boasts some interesting museums, like the Dylan Thomas Centre, Egypt Centre and the National Waterfront Museum. The capital and biggest city in Wales, Cardiff, has got something for everyone and is a great end to our trip. Rich history, great shopping opportunities and top class entertainment. Our preferred way to get around is by bike when the weather is good. Take one of the cycle tours to really get into the city or explore the city on your own. 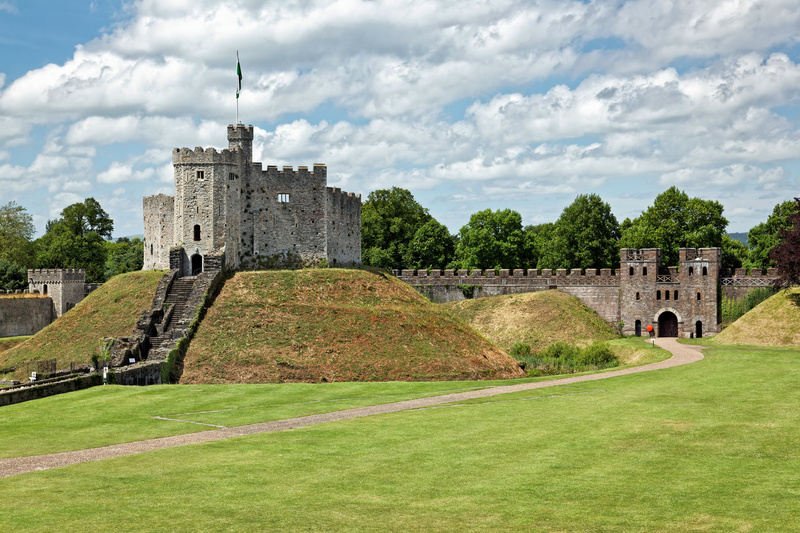 Make sure you stop by the Cardiff Castle, not only historically interesting (once a Roman fort and an extraordinary Victorian Gothic fantasy place) it also offers great panoramic views of the surroundings of Cardiff. The National Museum in Cardiff holds one of the largest impressionist galleries, for more diverse art you are better off at the Chapter Arts centre, a place for creativity, digital media and art. For the best food try City Road in Roath or Cowbridge Road East in Canton. If you own a motorhome, campervan or caravan we can help you rent it out when it’s not being used. We make this super easy for owners around Australia to earn an income and do the heavy lifting. If you want to learn more then click here. If you are looking to hire a motorhome, campervan or caravan you can browse Camptoo’s unique vehicles here.